For those of you who haven't seen it yet, here is one of our popular visuals we published last year. Digital storytelling wheel features a number of interesting resources students can use in class to create and share digital stories. 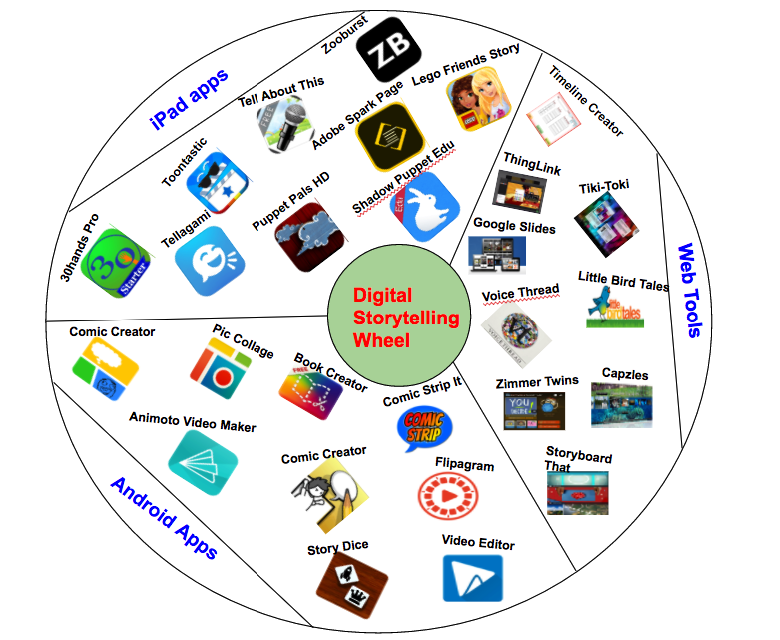 We have organized these resources into: iPad apps , Android apps, and Web tools for digital storytelling. We invite you to check them out and share with us your feedback in our Facebook page. here is a link to a larger format of this visual.